Love where you live! Tuscany offers one of the nicest clubhouse’s around with swimming pool, lazy river plus a grand waterfall entrance. The views are breathtaking and vary between mountain, nature and a pond views. 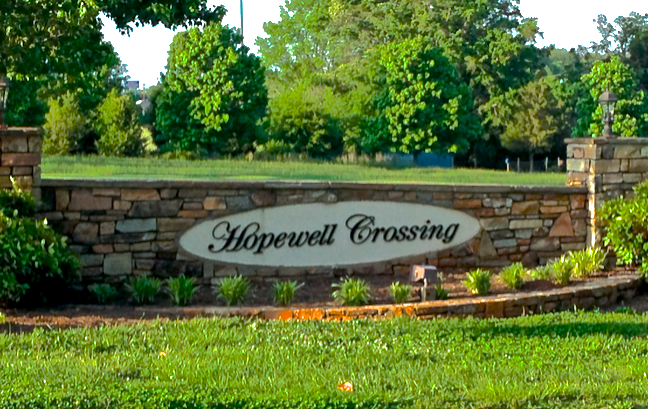 This community has plenty to choose from re-sale homes, new construction or lots so you can pick your own home site. Tuscany is located just minutes off of HWY81 on Thompson Road. Part of the subdivision offers School District V schools – North Pointe Elementary, McCants Middle and TL Hanna High while another area of the subdivision offers District 1 award winning schools in the Wren zone. For homes or lots for sale in Tuscany, click here. Harper’s Ridge, long-established as one of Anderson’s premier neighborhoods, offers a relaxed, country-like setting within minutes of Anderson’s best shopping. Homeowners enjoy large lots with mature landscaping not found in the newest subdivisions. The rolling landscape lends itself to walkers and joggers who like to take advantage of the varied routes within the neighborhood. Tennis lovers practice their swings and meet to play matches on one of the two courts in the commons area. Every spring neighbors gather in the commons for a barbecue with music, games and some friendly competition. Harper’s Ridge students attend North Pointe Elementary, McCants Middle and T.L.Hanna High, Anderson Five District schools consistently ranked among South Carolina’s finest. Harper’s Ridge offers a rare quality of life-the perfect balance of privacy and community. For more information on this fine neighborhood click here. To search for homes or lots in Harpers Ridge click here. Brookstone Meadows is a community development located on 340+ acres and features a golf course that is simply second to none. The signature layout golf course is designed to take full advantage of the natural, rolling terrain. Its’ eighteen-hole layout features four sets of tee boxes, allowing golfers of all ability levels to enjoy the course. Designed by Tom Jackson, the award-winning architect of the Cliffs at Glassy. 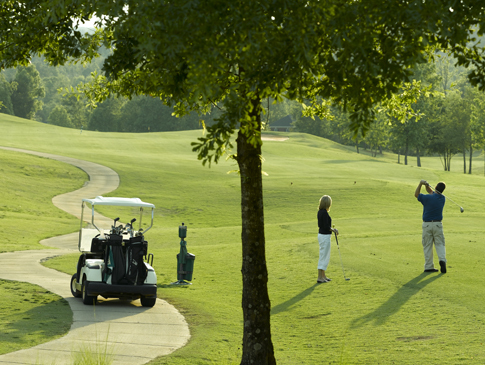 Brookstone Meadows has taken its place as one of the most scenic layouts in the Carolinas. And a perfect place to call home. Brookstone Meadows amenities offer two tennis courts, outdoor swimming pool, walking trails, small park areas, and a Clubhouse which also includes the golf course Pro Shop. Brookstone Meadows is located in Anderson County just of I85 and is approximately 8.5 miles from the City of Anderson and about 20 miles to Greenville, SC. The community offers many price points within the sub-communities to provide a variety of home designs to meet a variety of lifestyles. The scenic valley and golf course views, private community setting and landscaped yards make Brookstone Meadows a great place to call home. Come Experience All That Brookstone Meadows Has To Offer! Click here for homes available in Brookstone Meadows. Click here for more information about the award winning golf course. Searching For Your Next Upstate SC Luxury Home?